MIR-ROR 2.0 has been released as the project has benefited from Jon Mark Allen's (ubahmapk) many contributions, giving MIR-ROR some much needed attention. MIR-ROR, or Motile Incident Response - Respond Objectively, Remediate, is a security incident response specialized, command-line script that calls specific Windows Sysinternals tools, as well as some other useful utilities, to provide live capture data for investigation. You can easily enhance MIR-ROR to your liking with whatever command line tools you find useful. For incident response resource, we’ve found it indispensable. Windows Systinternals licensing prevents us from bundling the tools in a distribution package; you’ll have to retrieve them for yourself. You can download the complete Sysinternals Suite, along with the other utilities needed, and unpack in a preferred directory on your system (C:\tools\MIR-ROR). Check fetch.txt for everything you need to download. Please feel free to submit suggestions or fixes via Issue Tracker and we'll review potential updates for future releases. You can read the complete ISSA Journal article, MIR-ROR: Motile Incident Response - Respond Objectively, Remediate, here. In my last post regarding Pwn Plug I discussed the features available to those of you who build your own with a Sheevaplug and Pwn Plug Community Edition. Here I'll give you an overview of some of the additional pwntastic upside you'll benefit from should you choose to buy Pwn Plug Wireless, 3G, or Elite. Wireless will get you an external 1000mW USB ALFA, 3G offers am O2 E160, and an Elite includes 16GB SDHC card for extra storage (along with all the goodies you get with Wireless & 3G). All commercial versions include support and the Plug UI which makes setup insanely simple. I configured the Pwn Plug I tested for 802.11 evil with the ALFA as seen in Figure 1. In the Pwn Plug UI (HTTPS over port 8443 by default) I clicked Basic Setup, then Evil AP Config. Figure 2 shows the AMIEVIL SSID coming to life. Figure 2: Am I evil? This is a GUI configuration method for airbase-ng, specifically airbase-ng -P -C 30 -c 3 -e AMIEVIL -v mon0. Then all you need to do is follow with Karmetasploit via ./msfconsole -r karma.rc and you're off. "Karmetasploit is a great function within Metasploit, allowing you to fake access points, capture passwords, harvest data, and conduct browser attacks against clients." In addition to all the MSF3 functionality you'd expect you can also utilize David Kennedy's Fast Track. I ran ./fast-track.py -i, selected 6. Exploits, then 7. mIRC 6.34 Remote Buffer Overflow Exploit. Figure 3 show my Windows XP SP 3 victim coming aboard for pwnzor. With you Pwn Plug firmly established on your target network your recon options are also endless with an 802.11 interface enabled. Figure 4 shows Kismet happily enumerating from the Pwn Plug. So much fun, so little time. 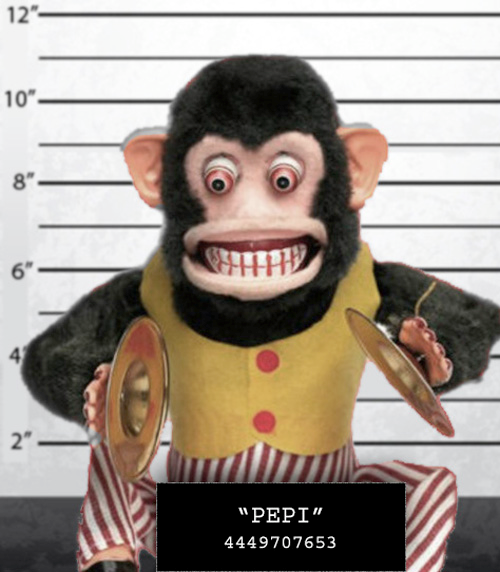 For those of you with penetration testing duties that include social engineering and red teaming tactics, I strongly suggest you explore the Pwnie Express site for yourself and the Pwn Plug options and features. You will not be disappointed. As you likely know by now given toolsmith’s position at the back of the ISSA Journal, March’s theme is Advanced Threat Concepts and Cyberwarfare. Well, dear reader, for your pwntastic reading pleasure I have just the topic for you. The Pwn Plug can be considered an advanced threat and useful in tactics that certainly resemble cyberwarfare methodology. Of course, those of us in the penetration testing discipline would only ever use such a device to the benefit of our legally engaged targets. A half year ago I read about the Pwn Plug when it was offered in partnership with SANS for students taking vLive versions of SEC560: Network Penetration Testing and Ethical Hacking or SEC660: Advanced Penetration Testing, Exploits, and Ethical Hacking. It seemed very intriguing, but I’d already taken the 560 track, and was immersed in other course work. Then a couple of months ago I read that Pwnie Express had released the Pwn Plug Community Edition and was even more intrigued but I had a few things I planned to purchase for the lab before adding a Sheevaplug to the collection. But alas, the small world clause kicked in, and Dave Porcello (grep) and Mark Hughes from Pwnie Express, along with Peter LaPlante emailed to ask if I’d like to review a Pwn Plug. The answer to that which you, dear readers, know to be a rhetorical question goes without saying. For those of you interested in a review of the remaining features exclusive to commercial versions, I’ll post it to my blog on the heels of this column’s publishing. One of Pwnie Express’ favorite success stories comes from Jayson Street (The Forbidden Network) who was hired by a large bank to conduct a physical/social penetration test on ten bank branch offices. Armed with a Pwn Plug and a bit of social engineering finesse, Jayson was able to deploy a Pwn Plug to four out of four branch offices attempted against before the client decided to cut their losses and end the test early. In one instance, a branch manager actually directed Jayson to connect the Pwn Plug underneath his desk. Pwnie Express hopes the Pwn Plug helps illustrate how critical physical security and employee awareness are and Jayson’s efforts delivered exactly that to his enterprise client. Adrian Crenshaw (Irongeek) has Jayson’s Derbycon 2011 presentation video posted on his site. It’s well worth your time to watch it. In addition to the Pwn Plug there is also the Pwn Phone which is also capable of full-scale wireless penetration testing. Penetration testers and service providers often utilize the Pwn Phone for proposal meetings and demonstrations as the "wow factor" is high. As with Pwn Plug, if you already own or can acquire a Nokia N900 you can download the community edition of Pwn Phone and get after it right away. PwnPlug compatibility is currently limited to Sheevaplug devices. There has been little demand so far for the Guruplug/Dreamplug form factors and the Guruplug hardware has a history of overheating while the Dreamplug is quite bulky and flashy. Bulky and flashy do not equate to good resources for physical & social testing. 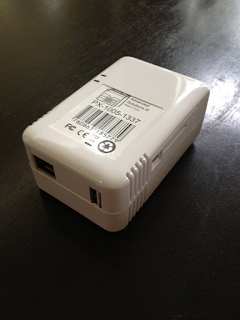 The development team is working on a trimmed down of Pwn Plug for the $25 Pogoplug. Even though it only offers about half the performance and capacity of the Sheeva, with a larger board, it is only $25. Figure 1 is a picture taken of the Pwn Plug I was sent for testing. You can see what we mean by the importance of form factor. It’s barely bigger that a common wall wart and you can use the included cord or plug it in straight to the wall. Pwnie Express included a couple of sticker options for the Sheeva. I chose what looks to be a very typical bar code and manufacturer sticker that even has a PX part number. I chuckle every time I look at it. 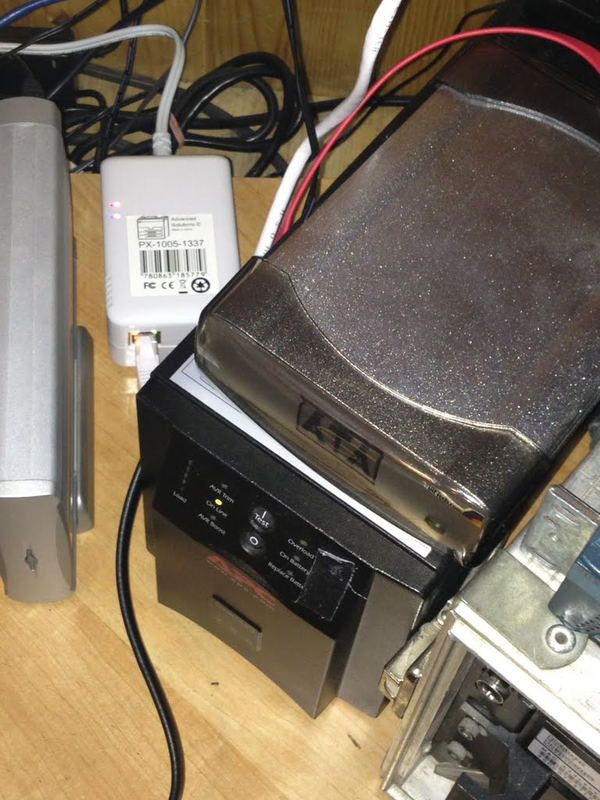 With Sheevaplugs typically sporting a 1.2Ghz ARM processor, 512M SDRAM, and 512M NAND Flash configuration it’s recommended that you don’t treat the device like a work horse (no Fastttack, Autopwn, or password cracking) but it’s crazy good for maintaining access in stealth mode, reconnaissance, sniffing, exploitation, and pivoting off to other victim hosts. Figure you’ll find the 512M storage at about 70% of capacity after installation but adding SD storage means you can add software within reason. 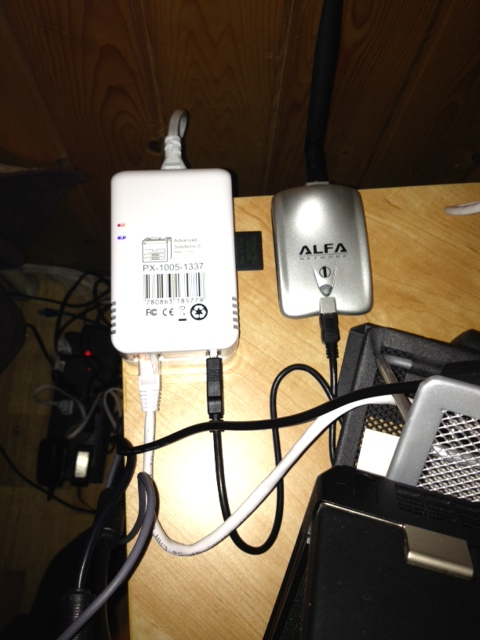 Pwn Plug is Ubuntu underneath so apt-get is still your friend. The tool list for a device this small is impressive. Expect to find MSF3, dsniff, fasttrack, kismet, nikto, ptunnel, scapy and many others at you command, most of which can be called right from the prompt without changing directories. To install Pwn Plug CE to a stock Sheevaplug download the JFFS2 and follow the instructions. No need to reinvent the wheel here. Sneak a Pwn Plug into a physical location, plug it in, and properly configured it phones home allowing you reverse shell access via a number of possible stealth modes. You can then set up a variety of exploit activities and/or run scanners or do specific social engineering activity I am about to demonstrate. The results are collected on the device and you can then collect them over the established shell access. First, imagine the Pwn Plug hidden at the target site, lurking amongst all the other items usually plugged in to a power strip, hiding behind a desk in so innocuous a fashion so as to go easily undetected. Figure 2 will send you scurrying about your workplace to ensure there are none in hiding as we speak. I’ll walk through an extremely fun example with Pwn Plug but first you’ll need to ensure access. Commercial Pwn Plug users benefit from the Plug UI but those rolling their own with Pwn Plug CE can still phone home. Have a favorite flavor of reverse shell pwnzorship? 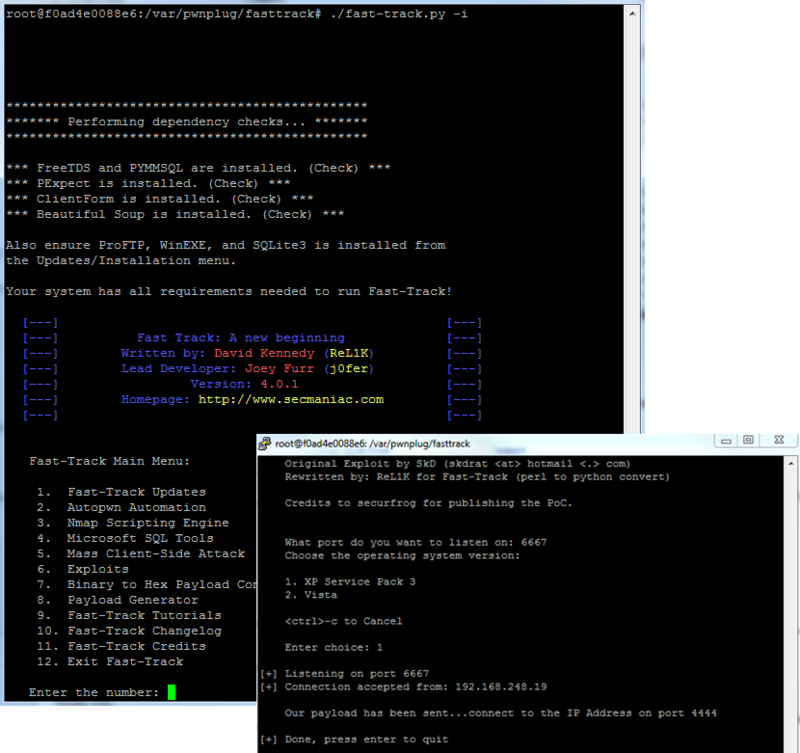 Plain old reverse SSH is available or shell over DNS, HTTP, ICMP, SSL, or via 3G if you have the likes of an O2 E160. 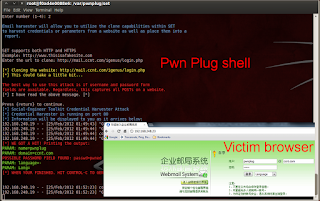 The supporting scripts for reverse shell on the Pwn Plug are found in /var/pwnplug/scripts. Access established, time to pwn. One of my all-time favorite collections of mayhem is the Social Engineer Toolkit (SET). 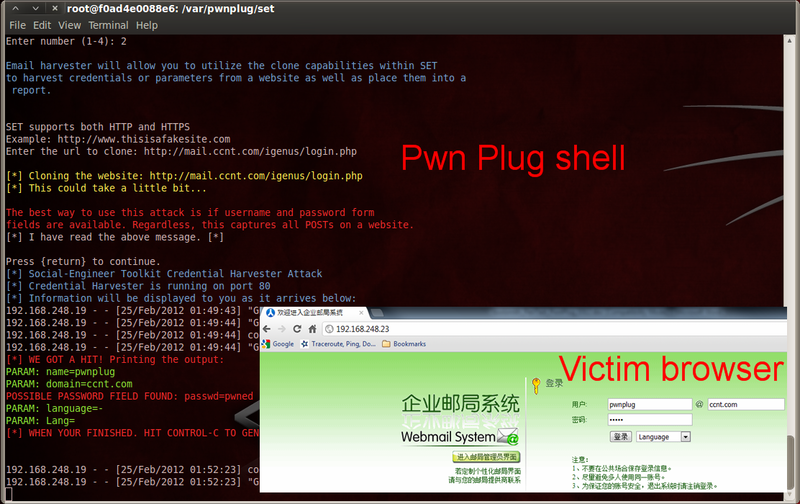 You will find SET at /var/pwnplug/set. Change directories appropriately via your established shell and run ./set. You will be presented with the SET menu. I chose 2. Website Attack Vectors, then 3. Credential Harvester Attack Method followed by 2. Site Cloner (SET supports both HTTP and HTTPS). In an entirely intentional twist of irony I submitted http://mail.ccnt.com/igenus/login.php to SET as the URL to clone. Mind you, this is not a hack of the actual site being cloned so much as it is harvesting credentials via an extremely accurate replica wherein usernames and passwords are posted back to the Pwn Plug. 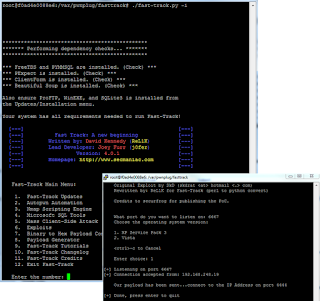 The test Pwn Plug was set up in the HolisticInfoSec Lab with an IP address of 192.168.248.23. Imagine I’ve sent the victim a URL with http://192.168.248.23 hyperlinked as opposed to http://mail.ccnt.com/igenus/login.php and enticed them into clicking. Now don’t blink or you’ll miss it; I froze it for you in Figure 4. After passing credentials the victim is then redirected back to the legitimate site none the wiser. All the while, because you have shell access, you can gather results at your discretion. SET has a nice report generator and writes out to XML or HTML. This is the tip of the iceberg for SET, and a mere fraction of the chaos you can unleash in whisper quiet mode via Pwn Plug. There are simply too many options to do it much justice in such short word space so as mentioned earlier I’ll continue the conversation on the HolisticInfoSec blog. I had a blast testing Pwn Plug, this is me after spending days doing so. If you make your living as penetration tester or need a really capable demonstration tool for social engineering awareness and prevention training, Pwn Plug is for you. Grab yourself a Sheevaplug, download Pwn Plug CE and enjoy yourself (with permission)!